When I was working my first job at a local Hallmark store, my biggest temptation were the bags of White Chocolate Orange Truffles at the front of the store. They were made by Seattle Chocolates, and they were fantastic. Creamy white chocolate with a hint of orange flavoring. Mmmmmm. I’m making little treats for a ladies luncheon at my church this weekend and decided to do my best recreation of the truffles I adore. But, since I didn’t want to hand dip over 100 truffles, I shaved a Terry’s Chocolate Orange with my microplane zester (one of my most favorite kitchen tools) and rolled the truffles in that. Viola. Double Chocolate Orange Truffles. One batch of this will make about 55 truffles. I do about 25 at a time and then put the bowl back in the fridge to get cold again before doing the second half of the batch. Put them in mini cupcake liners for a perfect gift! Using a microplane zester, zest the chocolate orange. Or, chop fine using a good sharp knife. Set aside. In a large bowl, beat cream cheese until smooth. Gradually beat in confectioners’ sugar until well blended. Beat in extract and cream. Melt chocolate over double boiler stirring often until smooth. Add to cream cheese mixture. Stir until no streaks remain. Refrigerate for about 1 hour. 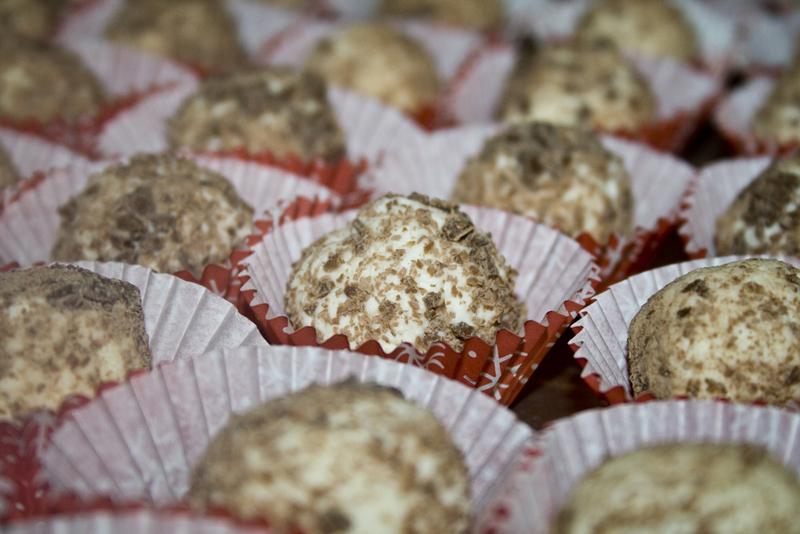 Using a melon baller, shape into 1 inch balls and roll in chocolate shavings. OMG OMG..Can eat all..I also look your other receipts and they all seem delicious..
Good for you. 🙂 I’m glad you liked them.